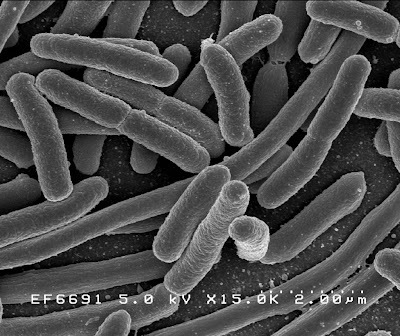 The human body is a host to thousands of species of bacteria. The bulk of these bacteria live in the human intestinal tract or the gut. These bacteria perform activities that are beneficial to the body. Bacteria that are not harmful and are beneficial to the body are said to be part of the normal flora. Since "flora" pertains to plants, the term "biota" is also used although generally, flora is an accepted word to describe this microsystem. Human gut flora, consists of an average of 500 different species. They serve various beneficial functions such as fermenting unused energy substrates, training the immune system, preventing growth of harmful, pathogenic bacteria, regulating the development of the gut, producing vitamins (such as biotin and vitamin K) for the host, and producing hormones to direct the host to store fats. Although the relationship of gut flora and the human body is generally beneficial and mutual, there are certain situations and conditions that bacteria can cause infections, disease, and even cancer. "We have demonstrated that people with type 2 diabetes have a high level of pathogens in their intestines," says professor Jun Wang from the University of Copenhagen's Department of Biology and Novo Nordisk Foundation Center for Basic Metabolic Research. "We are going to transplant gut bacteria from people that suffer from type 2 diabetes into mice and examine whether the mice then develop diabetes," says another of the lead scientists behind the project, professor Oluf Borbye Pedersen from the University of Copenhagen and centre director at LuCamp, the Lundbeck Foundation Centre for Applied Medical Genomics in Personalised Disease Prediction, Prevention and Care. By working together, a team scientists from the University of Copenhagen and the Beijing Genomics Institute (BGI) was able to make to several breakthroughs in the field of 'metagenomics'. Scientists working on the EU research project MetaHIT have uncovered more than 3.3 million genes from gut bacteria found in people from Spain and Denmark. These genes could play a key role in understanding and treating a range of serious illnesses. According to Professor Karsten Kristiansen from the University of Copenhagen's Department of Biology, the recent discovery is an important step in the comprehensive international research that is currently underway to investigate the interplay between intestinal bacteria and health. "The European and Chinese working on the MetaHIT project were able to make important new discoveries about the relationship between intestinal bacteria and health. The new discovery indicates a possible connection between type 2 diabetes and the intestinal bacteria in Chinese people," Kristiansen says.